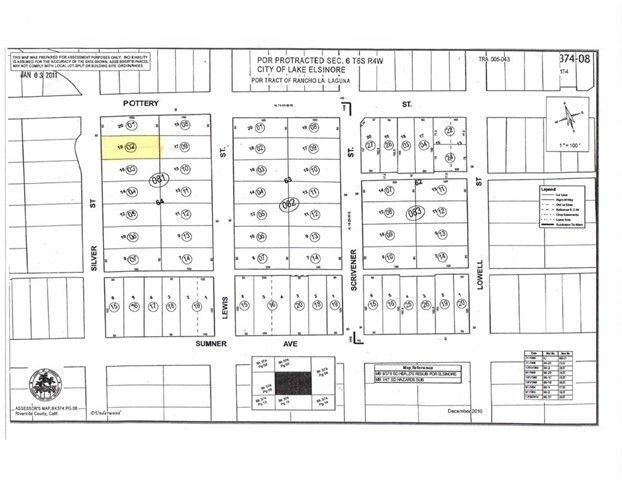 9, 148 square foot residential lake view lot on Silver Street in Lake Elsinore. Manufactured Homes Allowed. Prestigious cul-de-sac with well maintained homes. The fastest growing county in Southern California. Close to the historic downtown shopping, schools. parks and community lake activities. Lake Elsinore City Hall and services and restaurants. are minutes away. Easy access to the I-15 to Los Angeles, San Bernardino, San Diego and all of Riverside County. Must see.